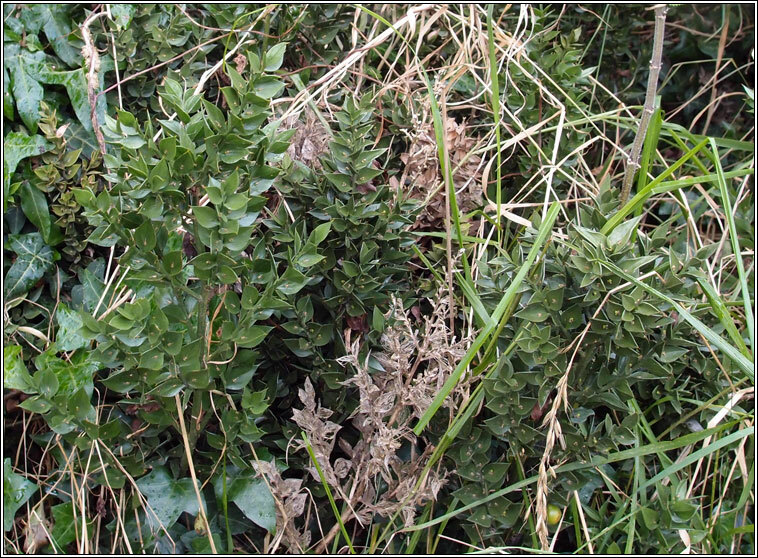 Habitat: In full or semi-shade in woods and hedges on well-drained ground. 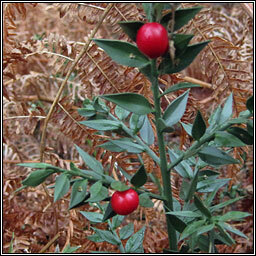 Mainly found in southern England and Wales, less frequent further north and in Scotland and Ireland. A slow-growing, much-branched dioecious shrub that can also reproduce vegetatively by creeping rhizomes. 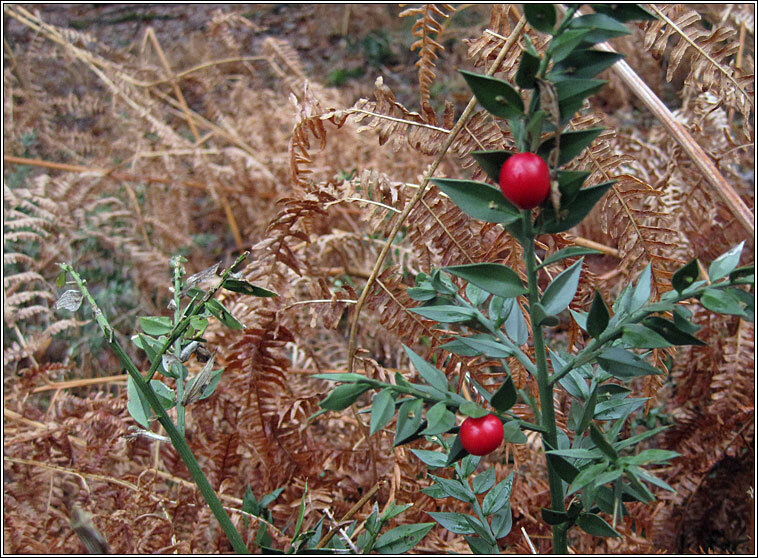 Red berries are produced on female plants during late summer to winter. 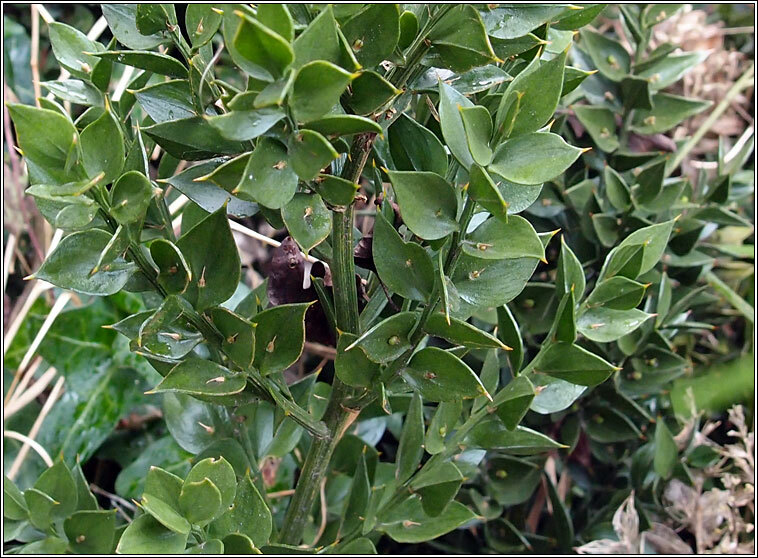 Leaves are reduced to papery scales and have spine-tipped leaf-like cladodes (flattened stems with the form and function of a leaf) in axils. Height to 1m.